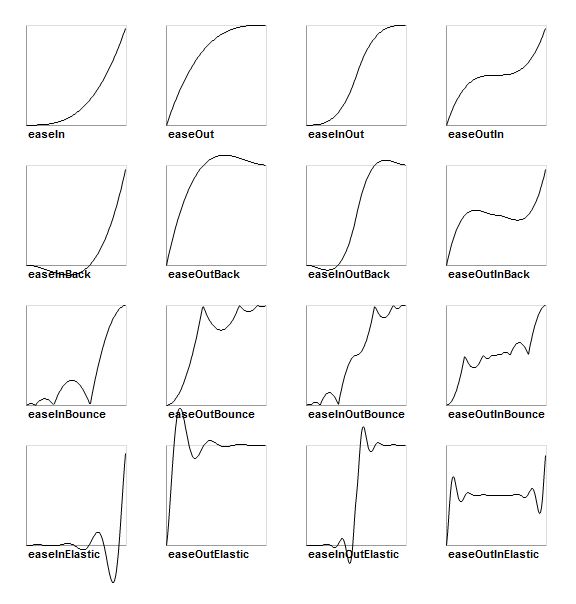 The Transitions class contains static methods that define easing functions. Those functions are used by the Tween class to execute animations. [static] Returns the transition function that was registered under a certain name. [static] Registers a new transition function under a certain name. Returns the transition function that was registered under a certain name. Registers a new transition function under a certain name.